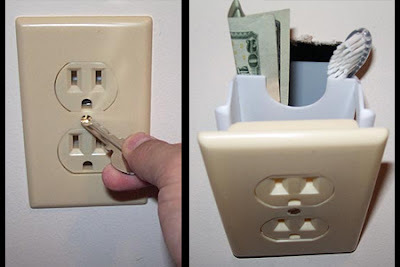 Creative phone-pocket for your electrical outlet. 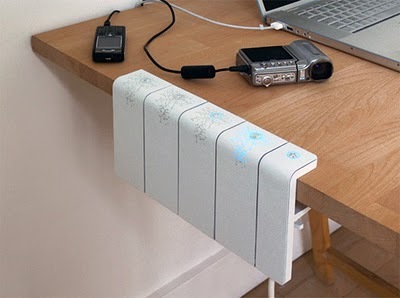 A great place to keep your phone while charging it. 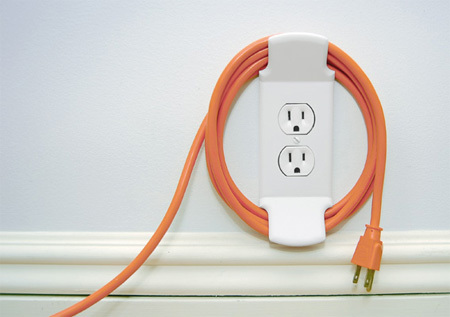 Instead of just having power outputs on one end of an extension cord, designer Wilson Song placed them all along the cord itself. Designed by Eunsung Kwon. The Ramo Branch Multi Tap is a dramatic representation of power consumption and how gadget-dependent we are. 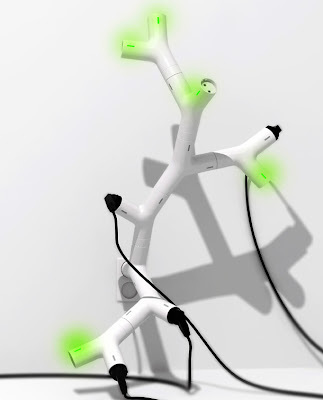 It looks more artistic than practical and can literally grow to branch out by simply fitting in modular socket stubs. 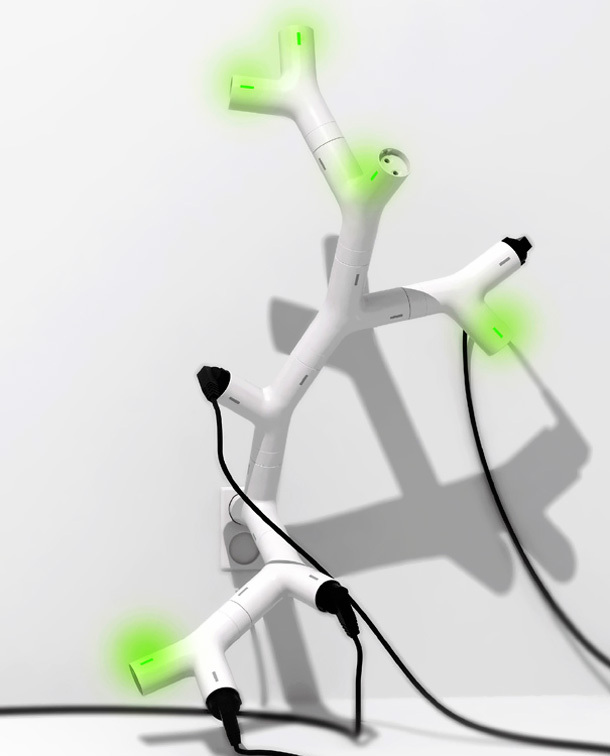 The tree may look good but I won’t promise beauty in the ensuing wiring chaos. 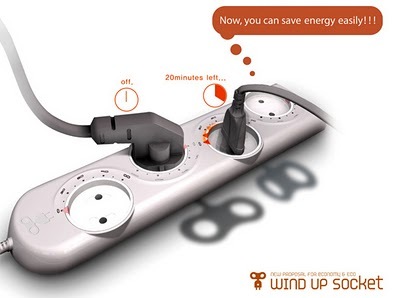 It has a timer to it which allows you to set the duration and once the time's up, the electricity supply to that socket gets cut off. 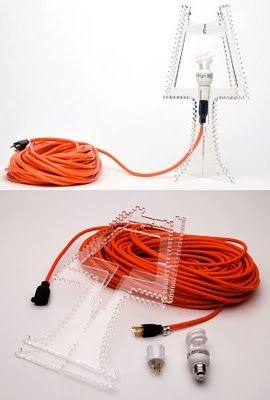 Designer Craigton Berman's coil lamp uses extension cord for power and looks; the concept is simple and elegant. 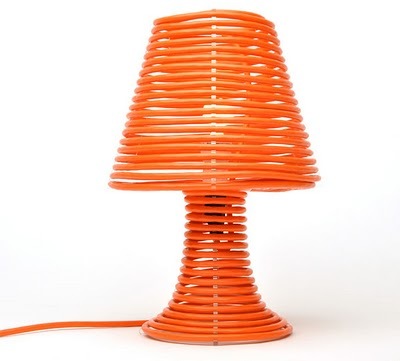 "The Coil Lamp is simply a table lamp made from a 100-foot orange extension cord, wrapped around an acrylic frame." It is a basic power outlet with a little extra lip to hold on to your lose plugs, keeping your power management neat and tidy. 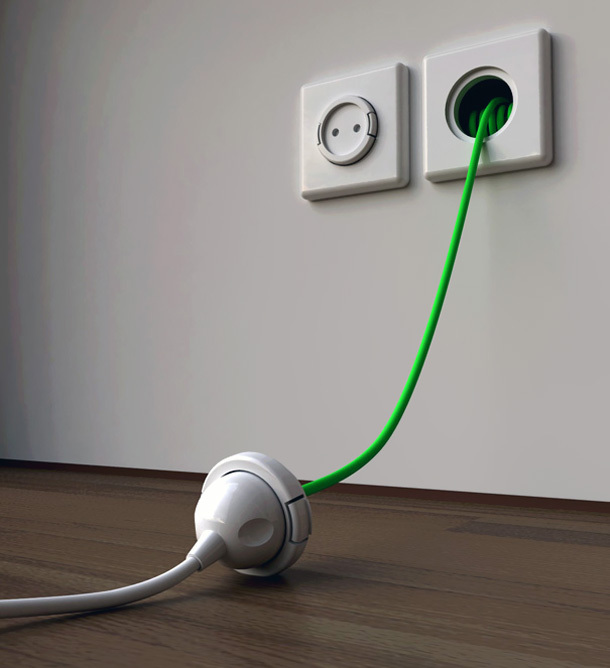 What use is an electrical plug when you’re not plugged in? Two simple tabs on the ends of a standard cover plate increase its function. 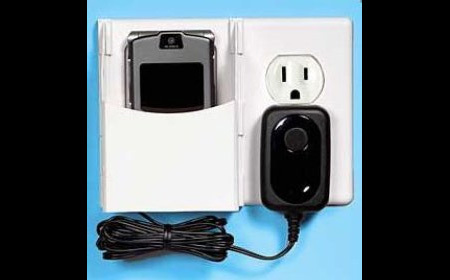 These unique wall safes allow you to hide valuables inside one of many identical looking wall outlets you already have in your home, the last place someone is likely to look. 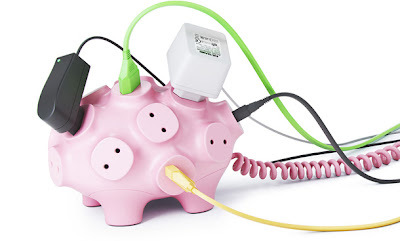 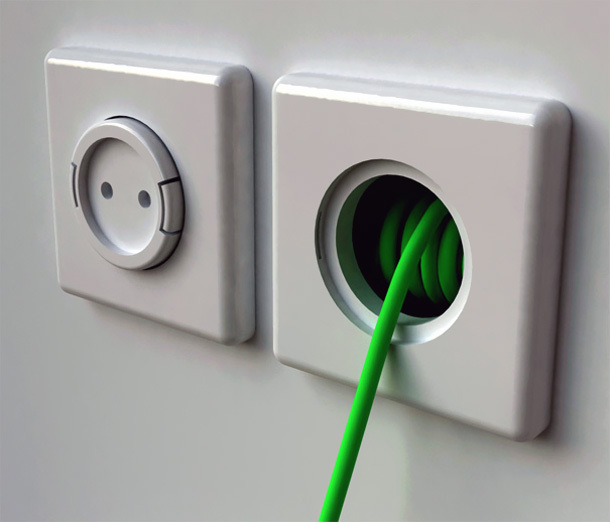 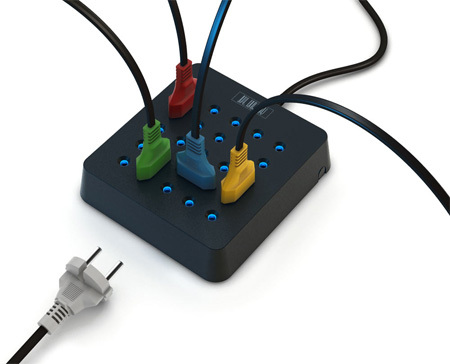 Electrical “power pod” made of thermoplastic rubber and with four plug outlets is the first in a series of Artecnica products called Wiremore, which will make electrical cables more, rather than less, visible. 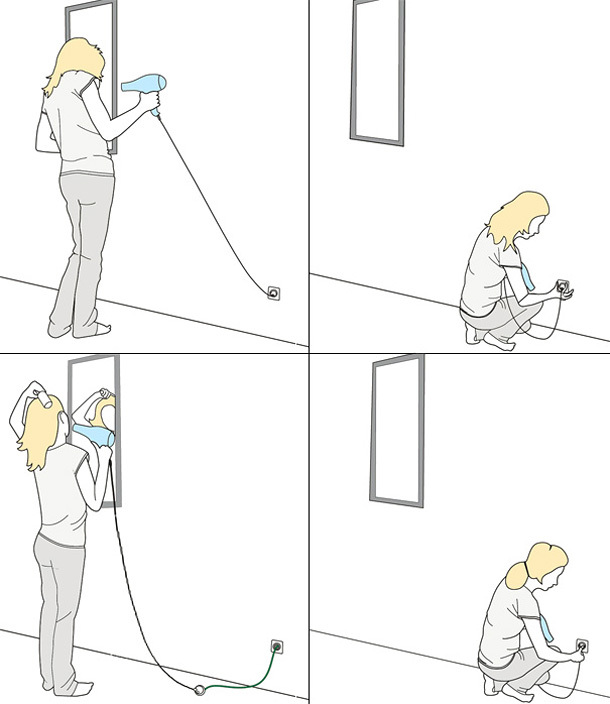 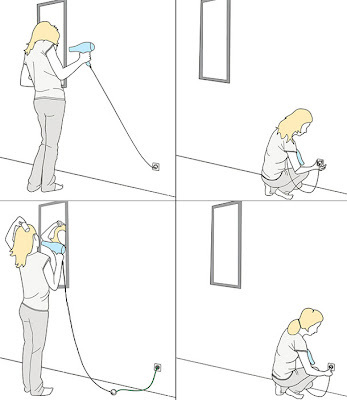 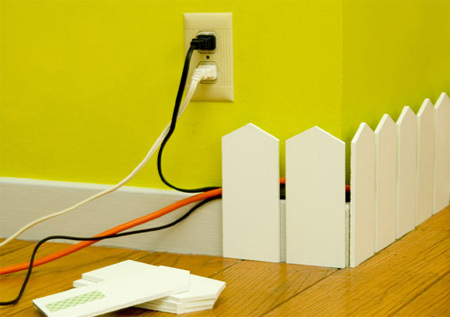 No one likes to have wires all over the floor, but when you use a conventional extension cord much can't be done. 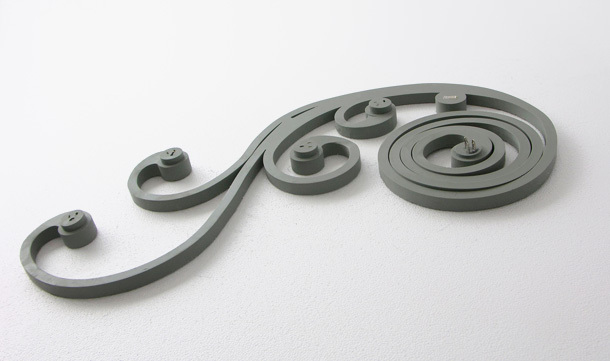 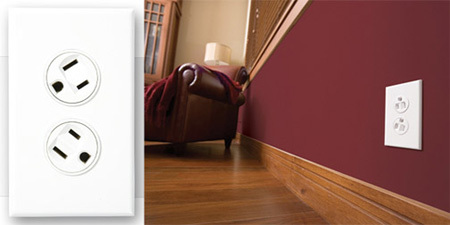 But with 'Post Line' you can change that; you can stick it flat to the floor or the wall and it looks elegant too. 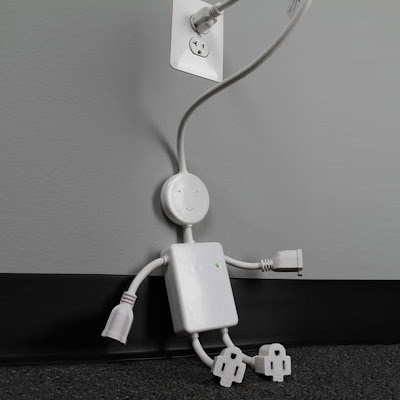 These are smart and good looking; when a connected device goes into "standby" mode, the adapters detect this, the lights alert the user, and if someone doesn't respond within 3 minutes, the module automatically shuts down. 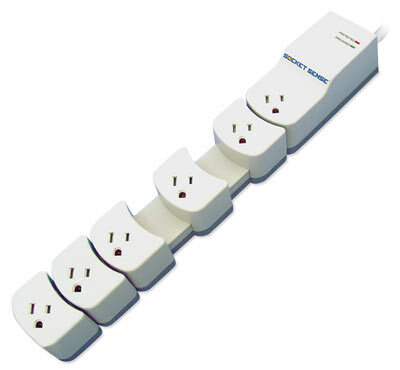 It gives the user the flexibility of configuring the powerstrip with as many or as few outlets required. 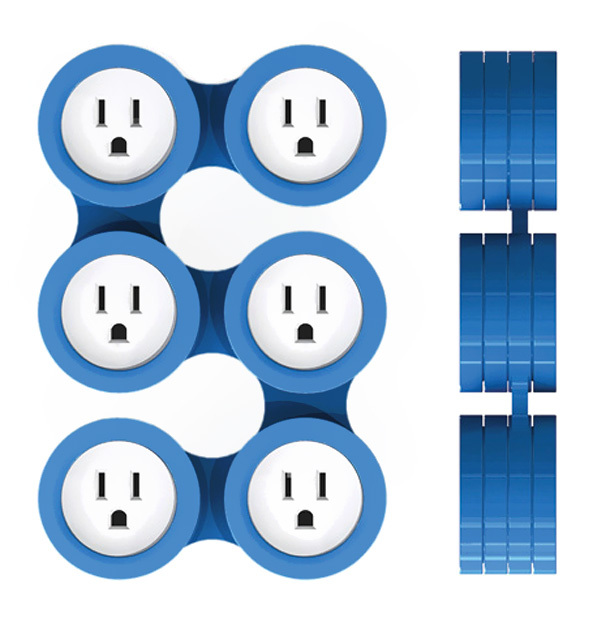 The unwanted tabs and sockets easily detach or when required more tabs and sockets can be attached too. 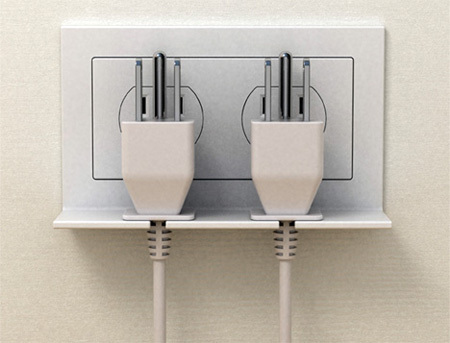 Apart from this the tab features pictures of the devices making it much easier when trying to disconnect one or more appliances. 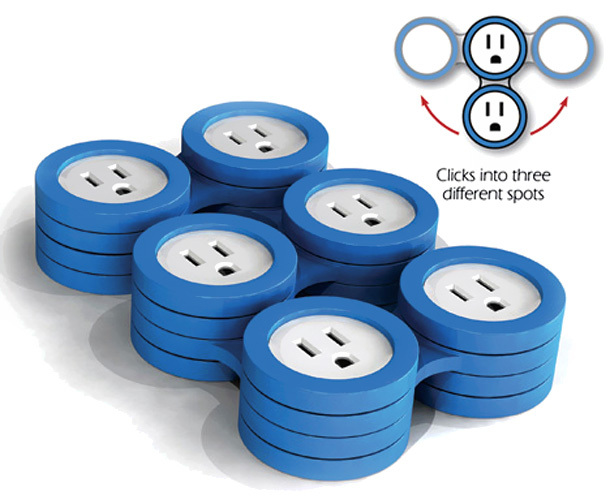 Swivel sockets rotate 90 degrees for compact use in tight spaces. 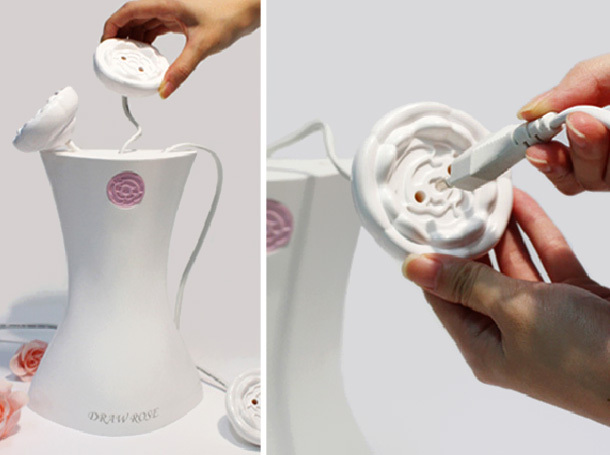 Designed by Cheng-Hsiu Du & Chyun-Chau Lin. Rotating 360° is a multi-outlet socket which allows each socket on it to rotate. 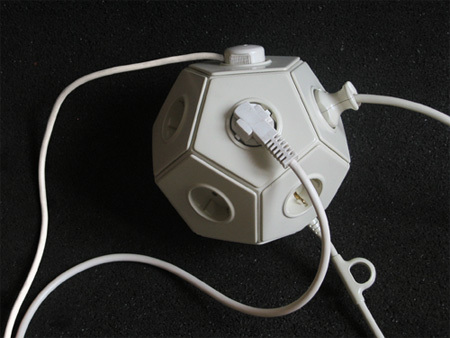 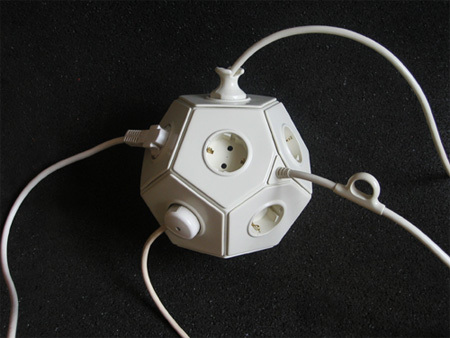 It offers enough space for different shaped plugs to plug in just by rotating each socket in different directions. 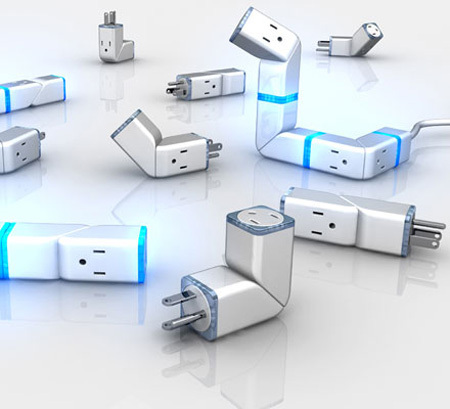 Besides, each socket has different color and can connect each other, so user can easily increase or decrease the number of sockets for his or her multi-outlet socket and choose different colors depends on user’s need. Designed by Han Hye-jin. 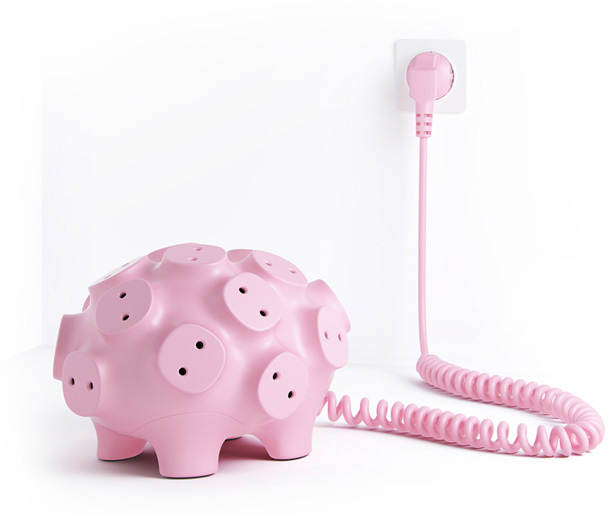 It's a vase shaped with full of Rose Plugs. 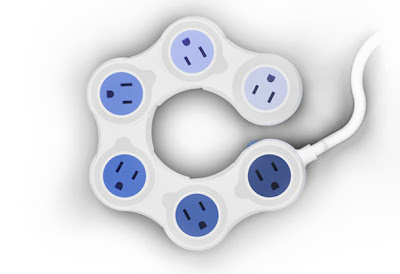 Each outlet can spin inside its socket for the best fit. The donut shape also helps to keep cabling organized. 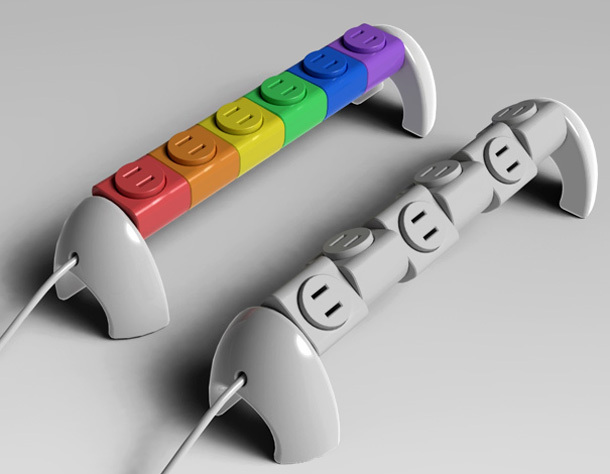 Power strip that allows users to add or subtract sockets as needed. 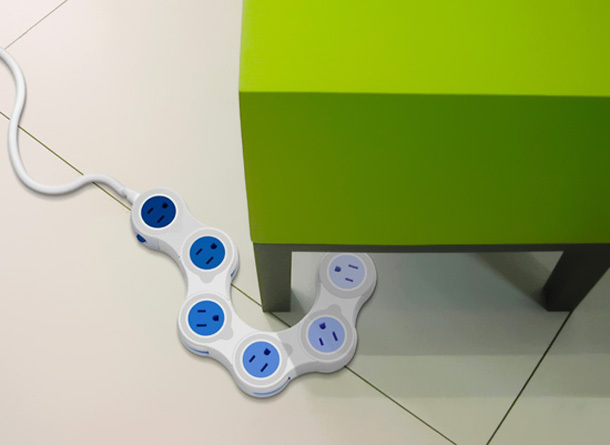 With this one you don't need to bend down in order to unplug the device, all you need to do is press the pedal and it unplugs the device. With this one you can plug in anywhere you want to. 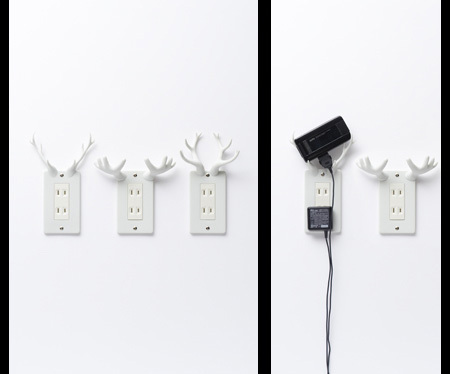 You can even hang some utensils. 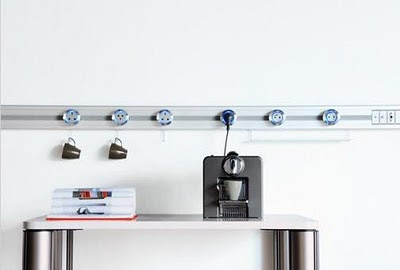 Best suit for kitchen. 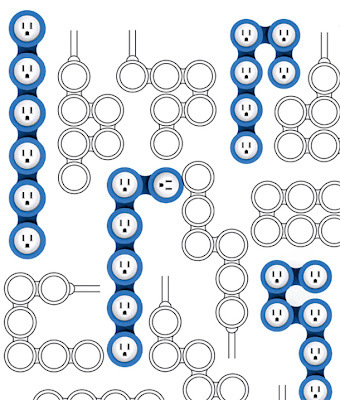 Designed by Vahakn. 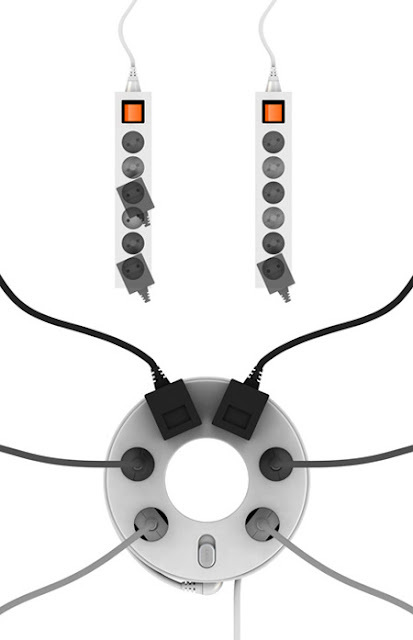 Electrici-tree is a three-branch daisy-chainable rubber extension lead. 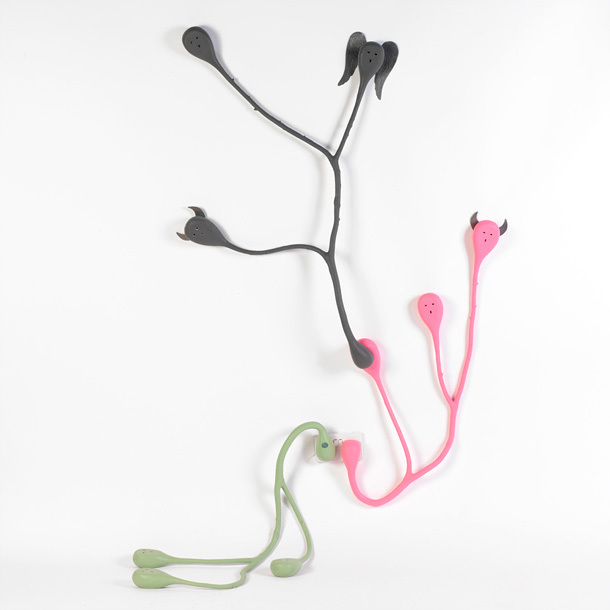 Cast from real tree branches. 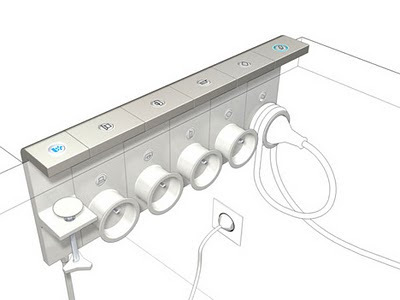 Magnets in the back of each socket hold it to specially designed metal plates or any metal furnishings like radiators, filing cabinets, table legs etc. 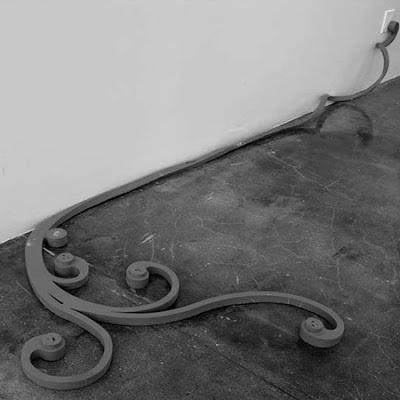 Designed by Meysam Movahedi. Rambler Socket maybe the solution most of us are looking for as far as extension cords are concerned. 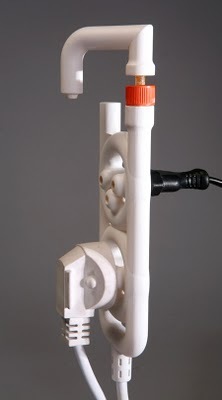 Designerd by Jeff Carter. 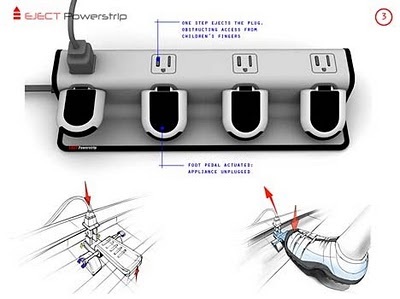 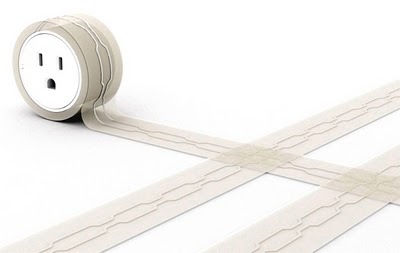 This power strip allows you to change the strip, not your space. The Picket Fence adapts to older homes and cleanly manages the electrical necessities of the occupants. 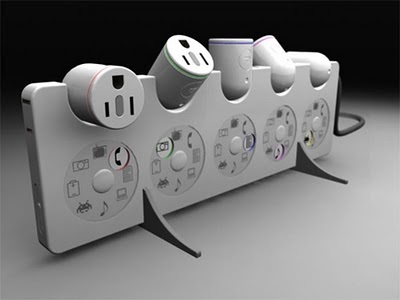 Modern power strip concept by "MASHALLAH DESIGN". 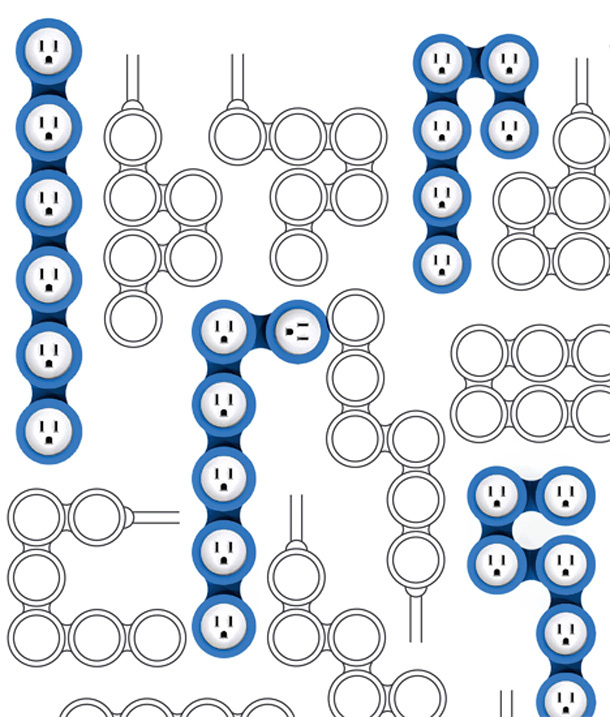 Pulling out a plug is not a hard work, but it is not always an easy task. 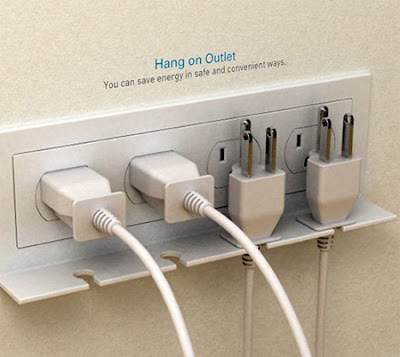 Therefore, you need a better solution. 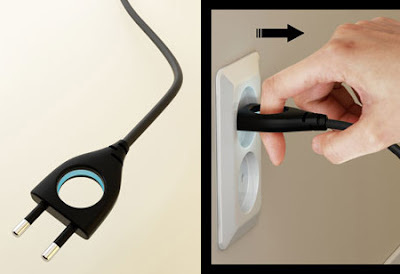 This plug comes with a circular cut-out which can help you pull it out easily. 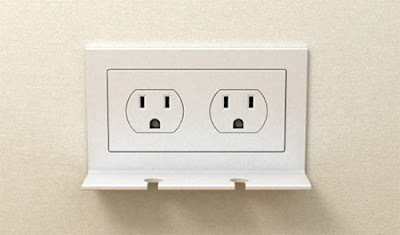 360° Electrical is an electrical outlet plate where the two sockets spin 360 degrees to help manage bulky plugs. 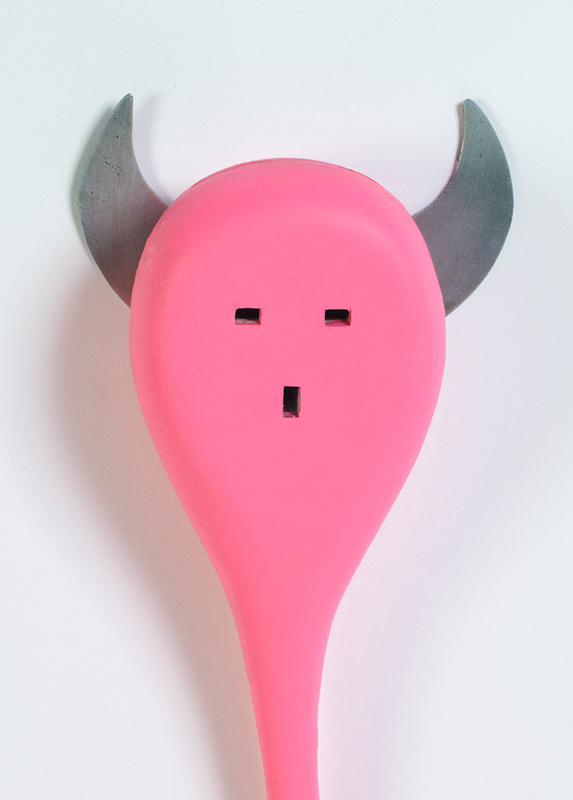 These electrical outlet covers let you put your mobile phone on the wall as it recharges. 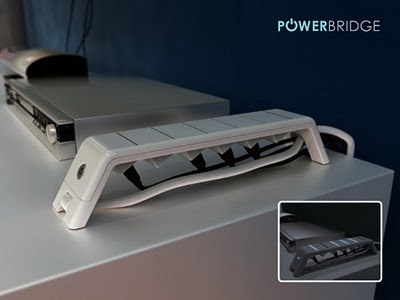 It eliminates the need to hide wires as it has plug sockets beneath the bridge for better plug management. 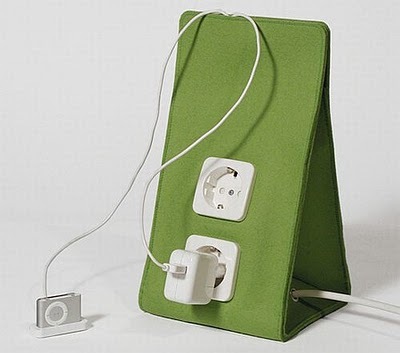 Designed by quirky. 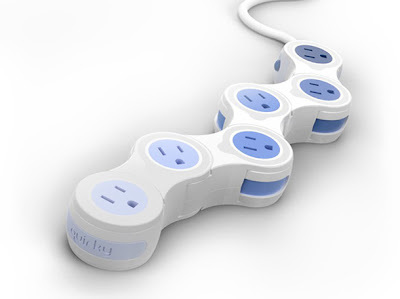 This power strip contains socket of different length which is very flexible and can be bent like curve. 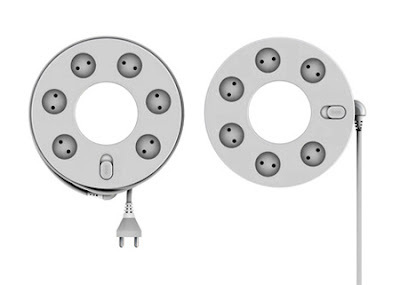 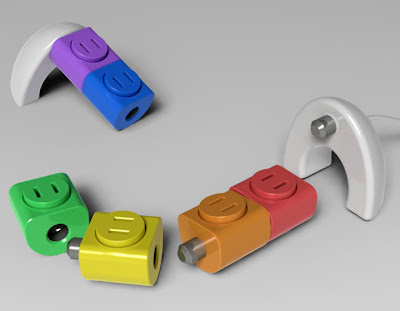 In this one the sockets rotate 180 degrees giving you a variety of combinations to fit the plugs and adapters. 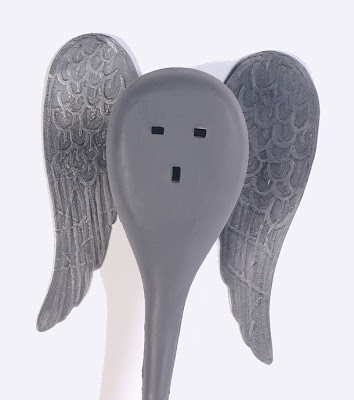 Apart from this it has dials on the front that allows you to select an icon to represent what you have plugged in, making it easy while unplugging a specific device. 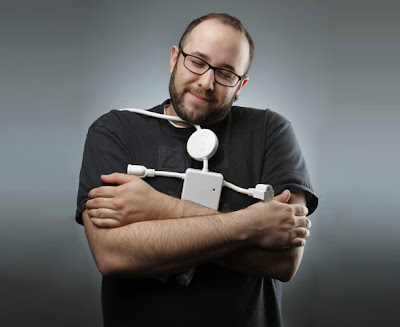 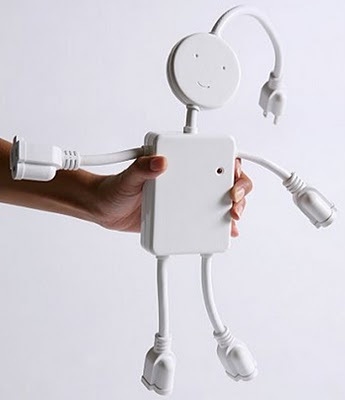 Meet a powerful man who is more than a boring power outlet. 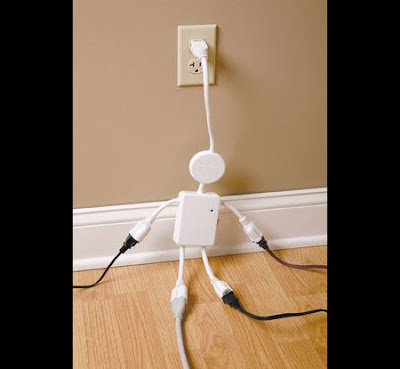 Perfect for home, school or office, his legs and arms have three-prong sockets with enough room even for the biggest adapter. 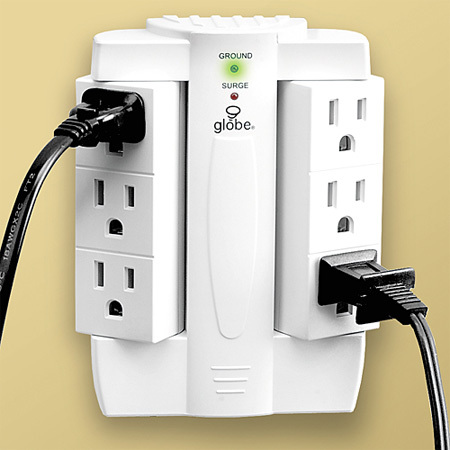 He features a circuit breaker switch and grounded plugs for safety, and is a fun alternative to the standard, clunky multi-plug. It organizes your cables and keeps them out of view with a unique closing cover. 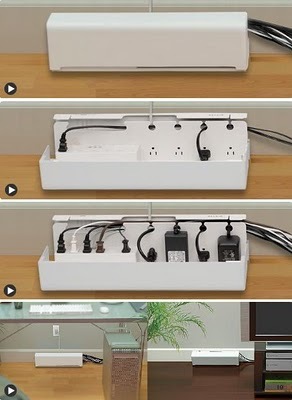 It neatly hides all the wires in a fabric container, giving a clean look to your place. 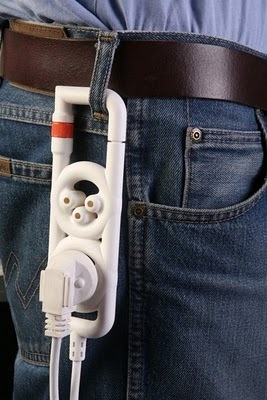 It's designed to help you work in high places with electric equipment and it can be fastened to your jeans for the ease of use and convenience. It expands 18 inches and contracts 13 inches. 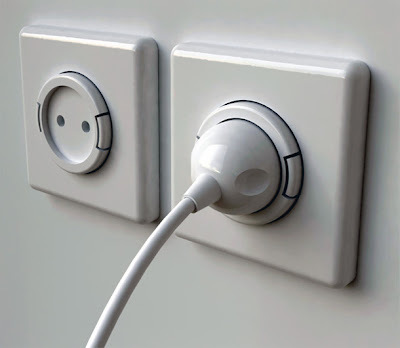 The movable sockets can be adjust accordingly for the best fit. 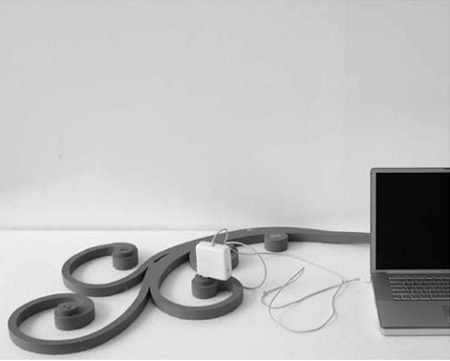 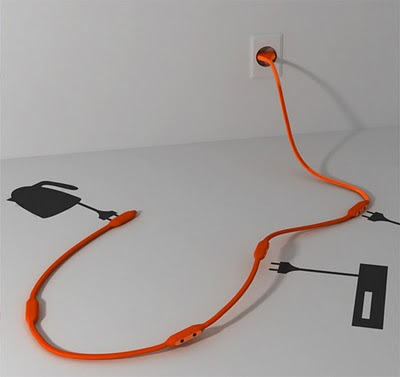 Electrical power strip in which the cord is designed to visualize the energy rather than hiding it. 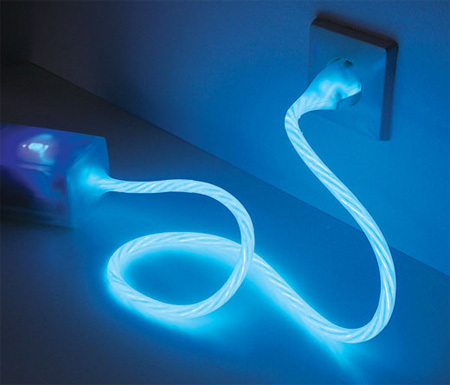 The current use of electricity is represented through glowing pulses, flow, and intensity of light. 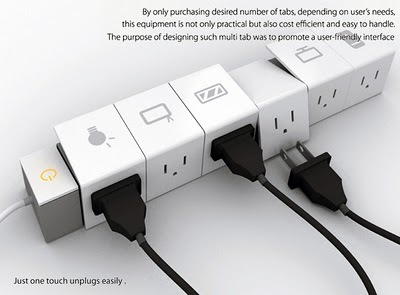 Power strip that gives you free choice of which way to plug.